Shares of Hain Celestial Group Inc. (NASDAQ: HAIN) are down 14.85% as of 2:44 p.m. EST on Nov. 8, following the release of the company’s fiscal first-quarter 2019 financial and operating results before market open today. 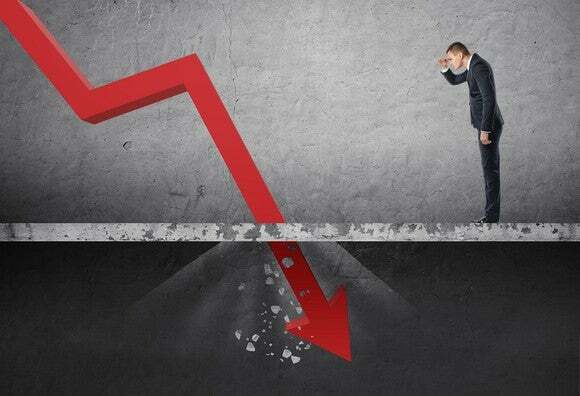 This continues what has been a dismal year for Hain shareholders, who have seen the company’s stock fall by nearly half since the beginning of the year. Today’s big sell-off is being driven by a quarter that saw Hain’s sales from continuing operations (a metric that adjusts out past and future sales from its up-for-sale Hain Pure Protein business ) fall 5% to $561 million, and the company revert to a $23 million loss — or $0.22 loss per share — after having earned a $0.18 per share profit last year. Even when adjusting for non-recurring items related to the company’s ongoing restructuring efforts, Hain’s adjusted EPS of $0.09 was less than half last year’s $0.20 per share adjusted EPS. Hain saw sales fall in all three of its operating segments, but especially in the U.S., where revenue was down 8%, as the company’s ongoing efforts to reduce the number of products it sells takes a bite out of sales. Furthermore, higher expenses are taking a progressively bigger bite out of Hain’s profitability. Gross margin fell from 21% last year to 17.8%, and adjusted gross margin fell from 21.5% to 19%. Part of Hain’s profit struggles are expected to improve in the near future, as it moves closer to completion of a multi-year SKU reduction and operational restructuring. This is expected to pay off with a more simplified business that takes better advantage of its scale to drive down costs for things like packaging and ingredients. Hain management has promised that the business would improve and profits would bounce back, but it’s taken much longer than investors expected, and commodity prices and shipping costs have gone up in the meantime while sales have started falling. As of this writing, Hain shares are down by nearly half over the past year, and almost 60% below the all-time high, including today’s big sell-off. Here’s the rub: Hain trades for a measly 0.88 times sales. That’s cheap for a packaged foods company, even one like Hain, which has struggled recently, but still owns a solid collection of brands and has a strong history of being cash-flow positive. While I’m no longer convinced Hain can be a long-term market-beating investment, I think it’s too cheap to completely ignore after this sell-off. If new CEO Mark Schiller, who just took over this week, can deliver any meaningful improvement at Hain, there’s strong upside. David and Tom just revealed what they believe are the 10 best stocks for investors to buy right now… and Hain Celestial wasn’t one of them! That’s right — they think these 10 stocks are even better buys. Jason Hall owns shares of Hain Celestial. The Motley Fool owns shares of and recommends Hain Celestial. The Motley Fool has a disclosure policy .